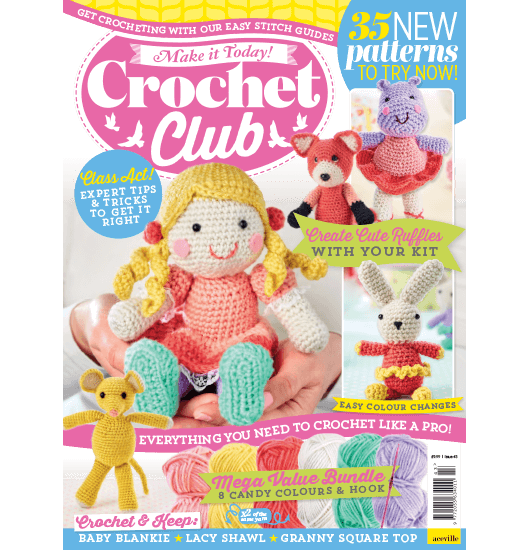 Issue 4 of Crochet Club magazine on sale now! Get 3 issues for just £24.99! 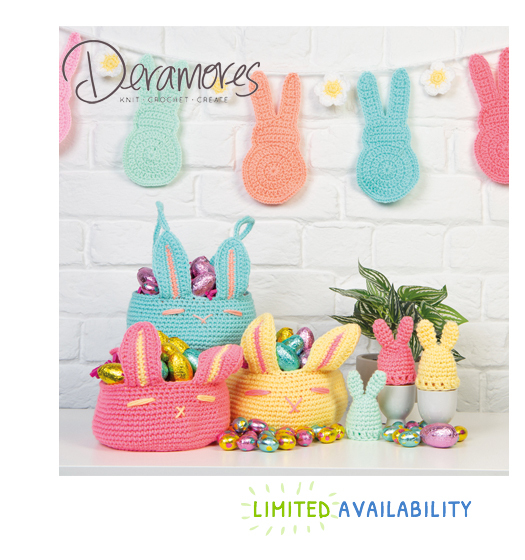 Deramores Spring Crochet Kit with 800g of yarn! 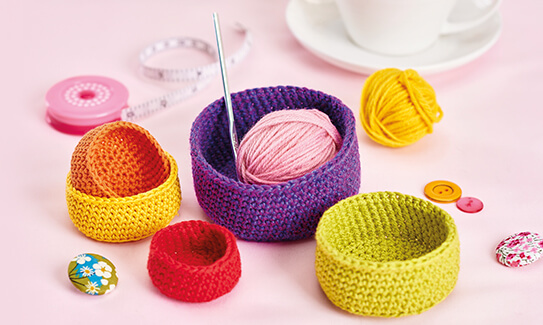 Designed by Leonie Morgan of Crochet Blog Wool n’ Hook, this spring Bunting, Baskets and Egg Cosies is a fun little project to sink your teeth into. 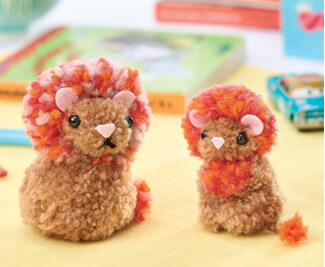 Using the soft and versatile Deramores Studio Baby DK, the pack comes with 8 x 100g balls of yarn and a step-by-step pattern written by the designer. Feeling inspired and looking for a new project? 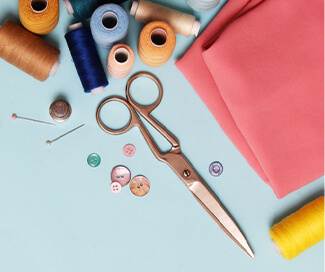 Check out our ever-growing archive with more than 430 FREE pattern downloads – and counting! – from toys and baby makes, to home decor and accessories.